For anyone who has ever experienced chronic pain – especially in the joints – you know the value of an effective pain remedy. The following list of all-natural pain-relievers includes several herbs which offer immediate results as well as a full collection of more permanent (albeit slower-acting) solutions for healing your joints and easing away pain. Combine these two incredible healing herbs and brew them into a tea. Simply grind about half a teaspoon each of fresh ginger and turmeric root, add to 2 cups of boiling water, reduce heat simmer for about 10 – 15 minutes. Once your tea has reached the desired strength, strain out the herbs, sweeten with honey or Stevia and enjoy. This recipe makes enough for two servings of tea – the recommended daily intake. While you could take Magnesium supplements to help heal your painful joints, there is a much better and more relaxing way to up your body’s magnesium levels. Try taking an Epsom Salt bath. Magnesium absorbs much faster through the skin than it does in the gut. At the same time, the warm water should offer temporary relief from aches and pains as your joints and muscles warm up and become more flexible. You can find Epsom Salts in most grocery and health food stores or order it online. We recommend this White Mountain Epsom Salt, available through Amazon.com. For relief of joint pain, try consuming around 2 tablespoons of olive oil as part of your daily diet. The organic compound oleocanthal found in olive oil is known to inhibit the activity of two main inflammatory enzymes in the human body (COX-1 and COX-2) in much the same manner as Aspirin or Ibuprofen. Dandelion Leaf is an excellent herbal source of vitamins A & C, two important nutrients for regeneration of the body’s connective tissues. 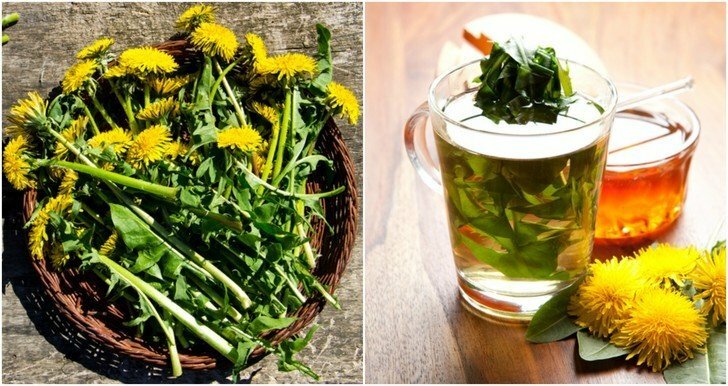 Drink a daily cup of dandelion leaf tea to help speed the healing of damaged joints. Simply steep a small handful of fresh dandelion leaves in a cup of boiling water to make this tea. (You can also use dried leaves. Just a pinch will do.) You’ll also most likely want to add honey or Stevia to your tea before drinking it. If you find that you aren’t a fan of dandelion leaf tea, you can also add the fresh leaves to a salad. Just be aware that this herb is also a powerful laxative (mature plants more so than younger ones) so don’t eat more than a few leaves at a time! Also, you can lightly cook dandelion leaves before consuming them to lessen this effect. Just a tablespoon a day of Blackstrap Molasses may go a long way toward permanently healing painful joints. Full of essential minerals including calcium, potassium, and magnesium; a daily dose of Blackstrap Molasses can aid the body in regulating nerve functions, strengthening bones, and repairing connective tissues. While it can be taken in a capsule form, willow bark is much more effective when brewed as tea. Add about a tablespoon of dried willow bark to 1 cup of boiling water and simmer for 10 – 15 minutes to make this tea. As with many herbal teas, willow bark is bitter so you may want to have some honey or Stevia powder ready to sweeten it up. Drink willow bark tea up to twice daily for relief of pain and inflammation. One of the most popular and widely used natural remedies for temporary relief of joint pain, Capsaicin Cream overloads the body’s pain transmitters known as Substance P. You can buy pre-made capsaicin cream online or in most grocery stores and pharmacies. Or, if you’d like to have more control over the ingredients, try this recipe for Homemade Hot Pepper Cream for Arthritis & Joint Pain by Everyday Roots. Remember: Always use gloves when handling hot peppers. Avoid contact with sensitive areas and mucus membranes as capcaisin will cause extreme irritation and is difficult to neutralize once the molecule bonds to your skin. Learn how to make a DIY warming rub for sore muscles using Eucalyptus Oil and a few other all-natural ingredients from Mommypotamus. 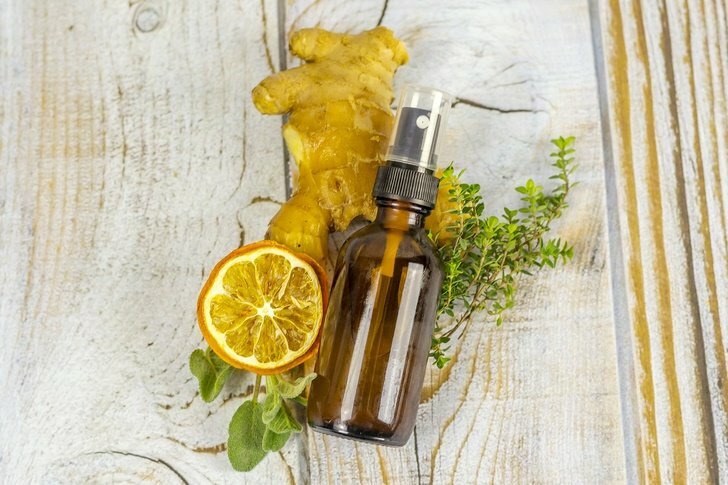 Or check out this recipe by onegoodthingbyjillee.com and make your own homemade pain relieving cream using Coconut Oil, Beeswax, Camphor, Menthol Crystals, and Eucalyptus Essential Oil. Please note: Juniper berry should be avoided by pregnant and nursing women. Extract of Bosweilla (aka Frankincense) is another excellent anti-inflammatory and pain-reliever that works by inhibiting the body’s immune response that causes swelling and by reducing existing inflammation in joint tissues. You can purchase Bosweilla supplements online or find the herb at your local natural health food store. Medical research has hypothesized that pectin helps to restore elasticity and lubrication of damaged synovial membranes – the soft cushioning tissue inside our joints that allows them to move without pain. While there is still much research to be done on this topic, people who drink liquid pectin find this natural remedy to be very effective, especially when taken with grape juice, another natural anti-inflammatory. Everydayroots suggests: “Mix 1 tablespoon of liquid pectin with 8 oz. of grape juice and drink 1-2 times daily.” While it may take up to two weeks to feel the results, they will be more permanent than those offered by fast-acting pain relievers. Burdock Root is another herb with a long-standing reputation as an anti-inflammatory. Burdock is full of fatty acids, sterols, and tannins; all of which contribute to its inflammation-reducing power. Nettle contains a long list of nutrients (including protein, calcium, phosphorus, iron, magnesium, beta-carotene, vitamins A, C, D, and B complex) which contribute to pain relief, strengthening of bones, and reduction of inflammation in joints. Drink a cup of organic nettle leaf tea 1 – 2 times per day for healing and gradual relief of joint pain. Glycyrrhizin, the primary organic compound in Liquorice root that gives the herb its sweet flavor is also a powerful anti-inflammatory which works by inhibiting the activity of inflammatory enzymes in the human body. You can take Glycyrrhizin in supplement form or brew Dried Liquorice Root as a tea. Please note: Use of Glycyrrhizin has several known side effects when used in large enough quantity or over long periods of time. Furthermore, Glycyrrhizin should be avoided by pregnant or nursing women. Remember, it is always recommended to consult with your doctor before starting any herbal remedy.